Launching Next is a platform to help startups gain more users. But we really help startups in every stage. This page collects many of our favorite resources for building, launching and growing a startup. Bookmark this page to return to it for new recommendations. Some of the links below include an affiliate code, which allows Launching Next to earn a small commission on any purchases at no additional cost to you. We only recommend services based on their quality and offerings, not on how much they offer Launching Next. 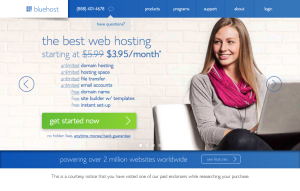 MediaTemple: MediaTemple offers some of the fastest and most scalable web hosting services available. It’s a great option for startups looking to spend as little as possible to launch but can scale quickly with growth. MediaTemple’s Grid service uses SSD hosting for its databases, and it’s offerings range from simple-to-start WordPress hosting through fully managed VPS hosting and dedicated servers. BlueHost: As one of the most known names in hosting (2+ million websites), BlueHost offers some of the cheapest prices in hosting. Monthly plans start under $4 and range from simple blogs to dedicated servers. It’s shared hosting plans can support multiple websites. That feature means you have a platform to launch many websites on the same account. ThemeForest: For any new WordPress blog, take a look at ThemeForest’s enormous collection of professionally designed themes. 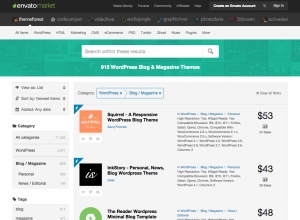 The service offers nearly 5,000 themes, starting at $3. It’s easy to dedicate hours to browsing through the options and thinking of what could be for your website. Elegant Themes: Unlike other services where you purchase one theme or plugin, Elegant Themes gives away its entire collection for a low annual fee. You do not sacrifice quality for convenience, and new premium themes and plugins are frequently added. We’re customers too. Google Analytics: A modern web analytics platform that belongs on every single website. Google Analytics now has sophisticated ecommerce transaction tracking and the ability to track users across different devices. Plus, it’s free. If you haven’t installed Google Analytics yet, do it now and discover why it’s the first website we check when we wake up. KissMetrics: If Google Analytics is the best tool for measuring website behavior, KissMetrics is one of the best tools for measuring your marketing campaigns and acquisition tactics. ClickTale: Watch how your users browse your website using high-definition recordings and heat maps. ClickTale is a great service where you discover its value the moment you sign-up.